We try our best to make our products affordable for everyone while maintaining extremely high quality standards. All of our instruments and bows are hand-made under Shu Sheng Kot's supervision. 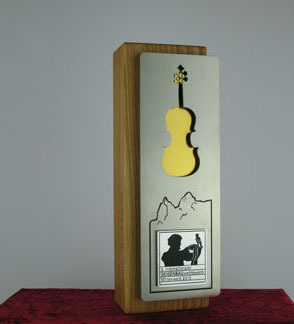 • 2010 - He was awarded a gold medal for his violin bow at the 6th International Violin Making Competition held in Mittenwald, Germany. • 1992 - He was awarded a gold medal for violin overall points, a gold medal for violin tone, and also won first prizes for his violin, viola and cello bows at the International Violin Making Competition held by the Canadian Violin Makers’ Association. • 1992 - He was awarded a gold medal for his violin bow and a certificate of merit for violin workmanship at the 10th International Violin Making Competition of the Violin Society of America. • 1991 - He was awarded the Walter Stauffer gold medal for acoustic quality for the violin that he entered into the 6th Antonio Stradivari International Luthier’s Competition held in Cremona, Italy. • 1990 - He was the only gold medal winner at the 9th International Violin Making Competition held by the Violin Society of America for his viola bow. • 1989 - He was awarded a gold medal for a violin bow and a silver medal for a viola bow at the 2nd National Violin Making Competition in Baveno, Italy.